I have often stated to students that I felt that one of the most important characteristics of a psychotherapist is the ability to tolerate ambiguity. As Allen so aptly points out in this creative and valuable book, my observa­ tion contains an implicit assumption that requires a clear statement in order for it to be understood. Before ambiguity can be tolerated, it must be recognized. The psychotherapist who accepts the presentations of the pa­ tient at face value is never faced with the difficult problem of tolerating the ambiguity that is so intrinsic to the circumstances that bring many people to treatment. 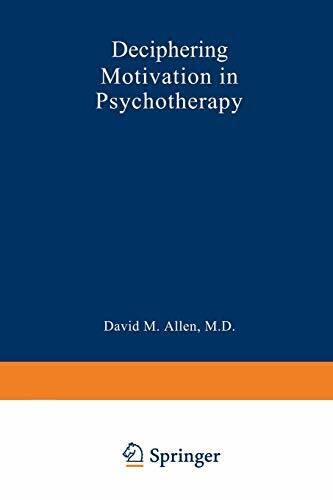 In this volume, Allen has undertaken the task of helping the reader to recognize ambiguity in all of its manifestations, to understand it better, and, having understood it, to help the patient to grow beyond it. Ambiguity, in Allen's view, arises from a dialectical conflict, whether it is between the self and the system, intrapsychic and wholly within the self, or social, when the individual is tom between competing reference groups. Psychotherapy is a process by which the dialectic can be brought to consciousness so that a synthesis can be achieved. The dialectic that engages the individual, and often is played out between the individual and the system, parallels the struggle between attachment and individuation.